2 Beds 2 Baths 983 Sq. ft.
Great condo looking over the Palm Aire Golf Club. You see the course and beautiful Oak trees from everywhere except the 2nd bedroom and the bathrooms New Butter Scotch Oak laminate throughout bedrooms and living area with tile in kitchen, lanai and baths. Washer and Dryer in unit . New light fixtures in the bathrooms. 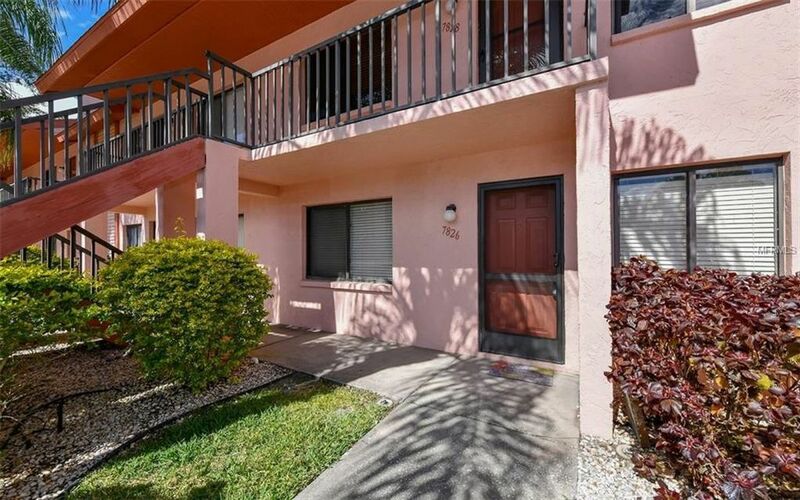 This condo is a fantastic starter home, good rental for the price or a spectacular 2nd home! Low fees and optional golf memberships at Palm Aire Country Club. Great Summer time membership opportunities for use of the club. The community pool is nice and a short walk from the condo. Reserved parking space out front of the condos. Don't miss this opportunity!